We are pleased to present an opportunity for you to own an entire collection of quality Waterbird artworks. Including a mastery of both sculpting and painting. 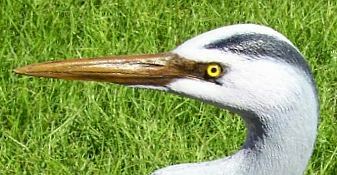 Herons, egrets, cranes and any other waterfowl such as ibis, spoonbills and more. Custom made original commissions are encouraged. These artworks are internationally collected and have the worldwide appeal that these fabulous waterbird's do. ***Ask how we may create any custom made artwork and sculptures to your specialty finishing and display needs: Custom made waterbirds, herons, egrets sculptures and paintings and beautiful: Custom made Ducks, Geese, Gamebirds sculptures and paintings. American Egret Wood Carving 303 in. Snowy Egret Wood100300 Jpg in. Heron Egret Pewter 280 in. Heron Egret Bronze 290 in. Bird Wood Carving 262 in. Gb Heron Bird Wood Carving 235 in. Gb Heron Bird Wood Carving 247 in. Bird Wood Carving 266 in.